In last month’s update, we shared our plans for our move back to Canada. 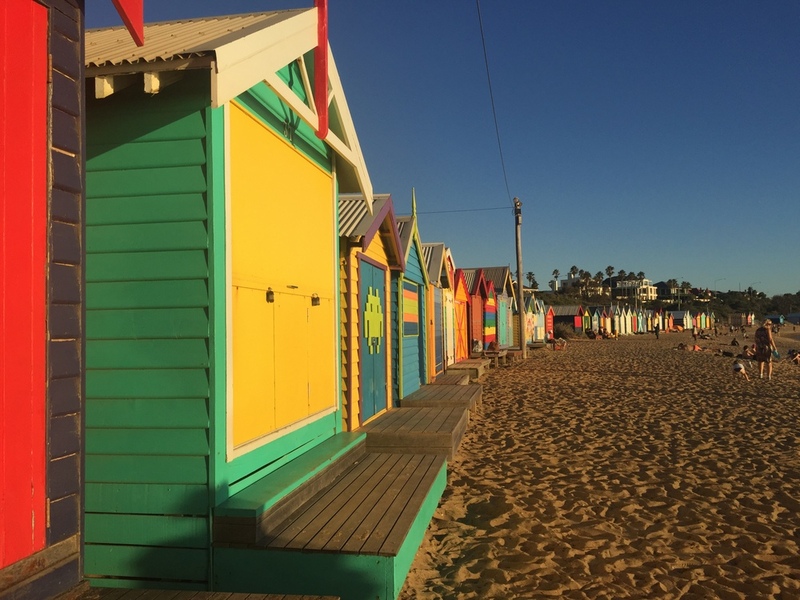 February was all about enjoying Melbourne, getting back into the school routine and hosting visitors. Those 28 days went by really fast and we know the next four months will do the same. That’s why we are determined to eek out every last day that we have here, especially as the weather starts to turn to winter over here. We are now fully into school mode and it has been a busy start to the year. Both of the boys have had their 2 weeks of school swimming lessons, Ella and Gavin competed in the school’s Swimming Carnival and I am back to volunteering at school each week. Early on I wrote a blog post about my Aussie school impressions since I am often asked how similar the schools are here to Canada. Since I am so involved in the school here, I have a good sense of what is going on and I absolutely LOVE the school community, the progressive teaching practices and the student-led learning I see. 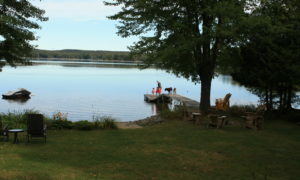 It is definitely going to be one of the things I miss the most when we return to Canada. Look at this amazing school community. This was the term 1 Peppercorn BBQ and it was so nice to see the kids play with their friends and show off the school to my visiting Aunts. With school starting we are right back into after school activities and with three kids, our weekdays are pretty jam packed. Ella is doing dance, Girl Guides and swimming. Gavin is doing karate, Scouts and swimming. Miles is also doing karate and swimming. While I do have the school day to myself, come 3:30, I am the mom chauffeur! The boys also do before school soccer and Gavin does chess club at school. Over scheduled? I wonder that myself! The boys are loving karate. But what I want you to notice is the bare feet. My kids truly have become Aussie and think they can go everywhere without shoes! Ella attended the Victorian Dance Festival, where for two full days she was tried different classes and choreography sessions. It was an amazing experience for her and even I got teary at the finale listening to the motivational message as the kids rocked it out to “This is Me”. You know we love our camping weekends and they are even better when you go with friends. We headed up to Mount Buffalo National Park for a lovely weekend with our friends Sarah and Jac and their kids. We did some hiking, swam in Lake Catani and just enjoyed camp life. Since the kids had playmates, it was an easy weekend for us. Hiking Mount Buffalo – always better with friends! It also began the “last” experiences as we countdown to our departure in June. It will be the last time (for now) we visit the Alpine region, an area we have come to really love. Last experiences are sad, although we know we will be back! In fact, I am determined that we will come back one day and do a full lap around Australia. I just need to figure out when that fits in! My monthly Expat updates wouldn’t be complete without some Melbourne love. Being the tour guide allowed me to show off my favourite things in Melbourne, which is the food, cafes, laneways and green space. I always say that one of the things I love the most about expat life is that you get out there and really explore your new country. We are always finding somewhere new we have never been before. In February we headed to the Mornington Peninsula for a day at the beach and discovered beautiful Point Nepean. This National Park is right at the entrance to Port Phillip Bay and its historic Fort has a fascinating history. The kids loved wandering through the old military tunnels and bunkers. The drumming can get a bit loud! Ever since I experienced my first Chinese New Years in Malaysia, I love celebrating this special time of year. Melbourne puts on a great festival with the Southern Hemisphere’s largest dragon. We love the lion dances, the firecrackers, the excuse to eat dumplings and the festive atmosphere. We were really excited to host my three aunts for a visit to Melbourne. The kids adored spending time with them and they were spoiled by all the goodies from Canada. 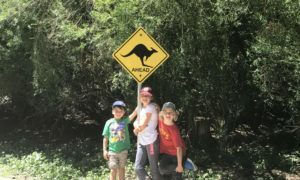 We covered a lot in the 5 days they were here – Great Ocean Road, all of the Melbourne sites and lots of time to check out our neighborhood too. We loved having the aunts! While the aunts were here, I was showing them all the awesome things Melbourne and our neighborhood has to offer. Which did get me into a little funk for a couple of days as I wondering “why are we leaving?”. I slowly dug myself out of that. I know leaving doesn’t diminish the amazing time we have had here. I know that we have loads more adventures to look forward to. But there is a part of me that wishes we were born here and all of our friends and family lived here. It is that good of a place! We also had a visit from Paul’s co-worker and friend who were trekking their way through Australia and New Zealand. If you want inspiration for travel after retirement, check out John’s blog – Vagabonding at 60. He has been to so many amazing places and we loved hearing about trekking in Ladakh, Guatemala and more. Our kids like a good challenge and were pretty excited to complete their first Spartan Run. With the neighbor kids, they wallowed through mud, climbed obstacles, powered through monkey bars and had a blast. It was definitely a super fun event and I have a feeling we will be finding another one for them to do, once in Canada. Our road trip to Uluru is rapidly approaching and we are really excited to see the Australian Outback. We will be working with Northern Territory Tourism and Britz Campervans, which we are really excited about. There will be lots of posts on social media of that trip, so make sure you are following us on Facebook and Instagram. We are also piecing together our 8 week trip in July and August. It is looking like it will be Malaysia, Indonesia, Greece, and the UK. The travel planning never stops! Good thing I love it! There is no question that we love to travel with our kids and think travel is a wonderful education. 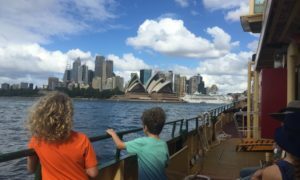 This month I dived into what our kids get out of our travels, from authentic learning opportunities to cross-cultural understanding. 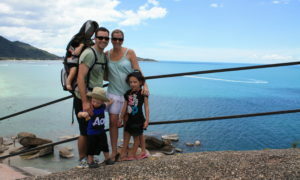 Read the whole post in Why We Travel with Our Kids. I have also been writing some additional content on Nicaragua. We visited for a month in 2015 and I had trouble finding good information, especially for families. Nicaragua is a fantastic destination, just a short flight from Canada and the US. It offers up volcanoes, crazy surf beaches, wild life and so much more. If you are looking for a destination that is a little more adventurous than the Caribbean, Central America is where it is at. Read our full post on Nicaragua Itinerary Ideas – 1, 2 and 3 week options. We have been huge fans of Y Travel Blog for years and it was such a thrill to be published on their site. We plan the perfect Japan itinerary for your first visit in this very thorough guide. We are still dreaming of our amazing cruise to Papua New Guinea last year and wrote an article on the cruise for the Cruising Kids website. You can read the full post here.